As you already know I'm a big fan of Scentsy, to find out more about the brand read my post HERE. 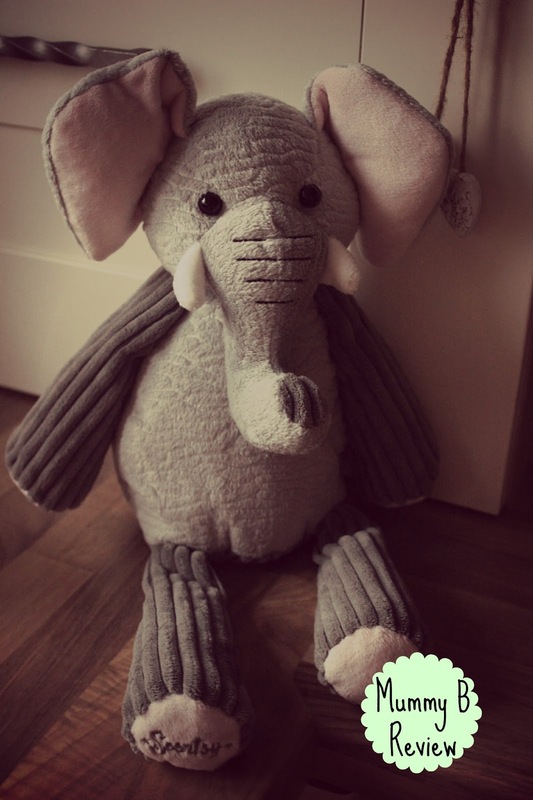 So for Darcie's birthday she received a wonderful gift in the shape of Ollie the Elephant, a Scentsy Buddy with the scent pack of Paradise Punch. These gorgeous cuddly toys are perfect for little ones, Darcie LOVES cuddly toys and Ollie is one of her favourites! I have to admit this IS my favourite of Darcie's cuddly's as it makes her whole room smell amazing, without it being overpowering that she doesn't want to snuggle. There is a whole range of different Buddies to choose from, also there is a wide range of scent packs that you can buy to change the way your buddy smells. I currently have my eye on Newborn Nursery Scent pak and also Sweet pea and Vanilla Scent pak, they look amazing and perfect for a little ones room! I have herd a lot of Mums swear that by combining the French Lavender Scent pak you can create the perfect conditions to help with a child's sleep and bedtime routine, which I would love to put to the test! The price of these are a little steep, but as I have completely taken to the whole Scentsy idea, I think they are completely worth it, I mean who doesn't want their house to smell amazing?! The Buddies RRP at £25 but selected ones are currently £20, the Paks are also priced at £7 but often they run offers so it is worth keeping your eye out! My consultant is my lovely friend Hayley, her website is HERE. If you are interested in finding out more about Scentsy Hayley is the person you need to speak with! UPDATE Hayley contacted me last night to let me know that the buddies come with a free Pak and that at the moment they are priced at an amazing £15!! !